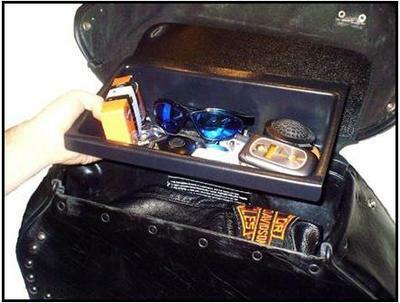 Tired of digging to the bottom of your soft leather saddlebags, in order to find those small items that have settled to the bottom after riding? 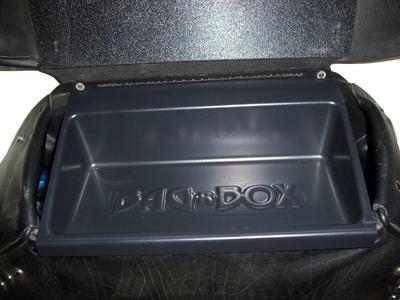 A BAG-R-BOX tray in your saddlebag is the answer. 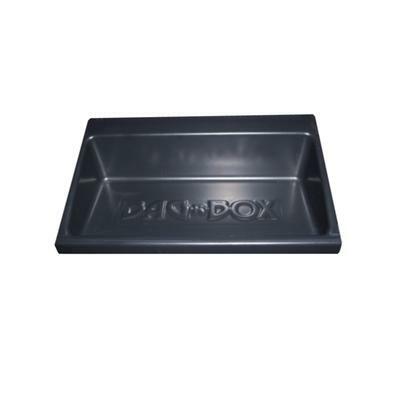 These black, textured, ABS formed plastic trays, hang over the front lip of your soft leather saddlebag and rest upon the ledge or leather seam at the back. Originally designed for the HD Heritage-style bag, they are trimmable and have proven to fit many other soft leather, flat top OEM and aftermarket bags. The eased edges and rounded corners of the BAG-R-BOX will not scratch or snag expensive leathers, rain gear, etc. 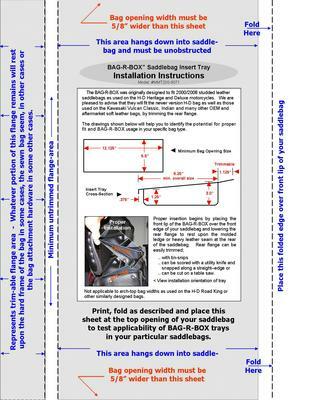 BAG-R-BOXes require no special tools, adhesives or fasteners to install and easily remove with one hand. BAG-R-BOXes are inexpensive too at UNDER $25 each. Visit www.bag-r-box.com for more information or to order. Join in and write your own page! It's easy to do. How? Simply click here to return to Motorcycle Accessories.